Visualworker.net Blog: Think about your career, choose a Master Course! On this post I'm going to talk about how important is to keep studying and learning. Nowadays education is democratized, you can find courses for every kind of domain, but it isn't enough to get a bachelor, with the competitiveness of the market you should keep learning every time, education became something continuous, that you should never stop. The first step after graduating is to do a master. You can find lots of masters courses, and get specialized in the field you would like to work, or that you enjoy the most. If you already started working, you might not have time to start a master course, but you can do an online course. 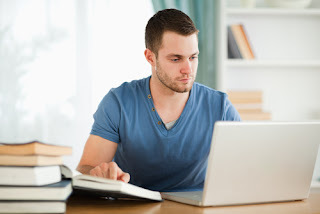 It became very common, and employers are now used and recognize the value of an online course. So, if you want to go further on what you already doing, or if you want to change your academic or working field, anyway, you should learn, study, share, because knowledge is the only thing that no one can get from you. If you want to have more information about master courses that you can do, check the website http://mastere-courses.com/ where you can find information about courses, student life, and jobs. You'll find a section from free lessons too.